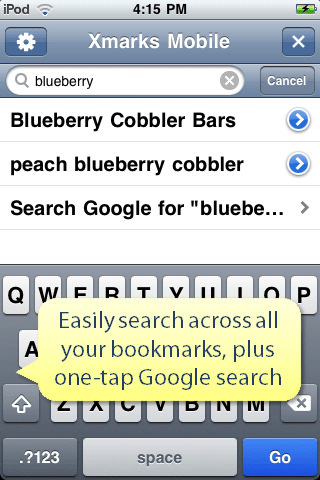 View your Bookmarks and Open Tabs from your favorite browser right on your iPhone, iPod Touch, or iPad. Simply download the Xmarks client to your desktop or laptop computer using download.xmarks.com. We support Firefox, Internet Explorer, Safari for Mac, and Google Chrome. Once your bookmarks (and optional open tabs) are synchronized with Xmarks, you can use Xmarks for iPhone to view them while on the go! Please note that Xmarks does not modify the Mobile Safari bookmarks on your iPhone or iPad.